Suncadia Resort, located right off I-90 in the Wenatchee National Forest southeast of Snoqualamie, WA, is your quintessential four-season, multi-activity contemporary resort. 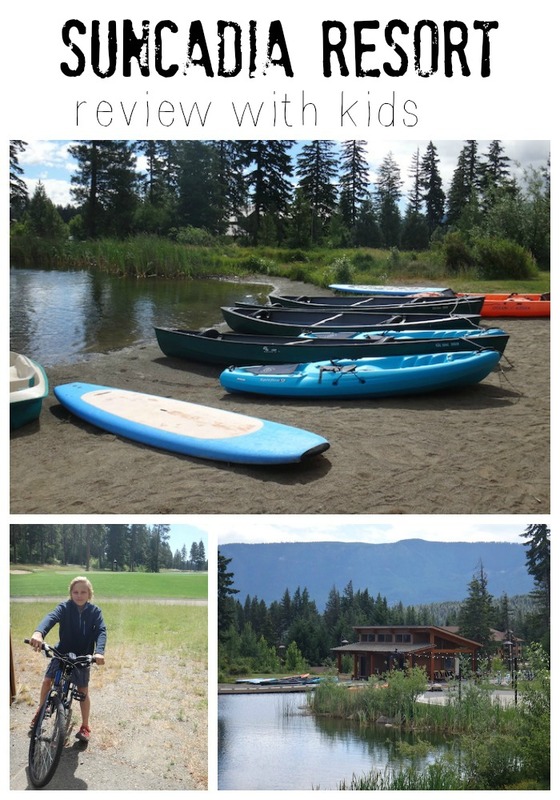 We stopped by for two nights during a long summer road trip through Washington State, and compared it to Bend Oregon’s Sunriver Resort or Redmond Oregon’s Eagle Crest. Suncadia boosts the same offerings, including golf, an upscale spa, dining, and on-site amenities like pool complexes, tennis courts, exercise facilities, and bike trails and walking paths, all on the site of a historic coal mining operation. 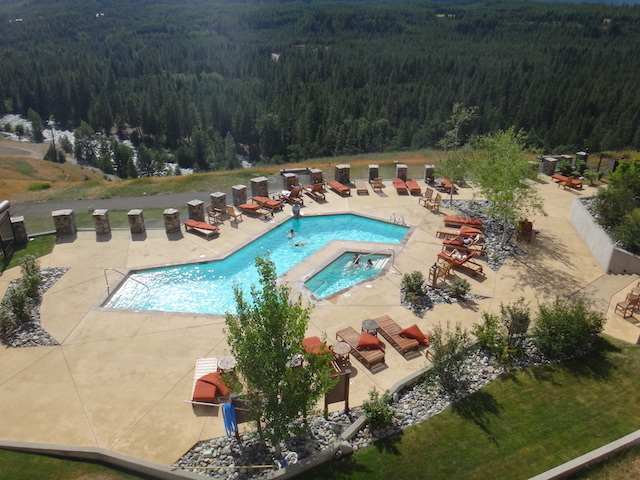 The pool complex at Suncadia includes a large free-form outdoor pool and kiddie splash/wading pool, a large indoor pool, plus indoor and outdoor hot tubs, a sauna, a steam room, and a full exercise area. The outdoor area includes plenty of lounge space, and we spent the majority of our time here. Our room (a one-bedroom condo) was located in the Lodge at Suncadia, which meant we also got access to the smaller outdoor pool and hot tub right outside the lodge building. Both mornings of our stay, I enjoyed the chance to work out in the exercise room, followed by a session in the sauna. By the time I emerged, the kids had found their way to the pool. There are exercise classes on offer daily, too, for an extra cost. A ‘resort fee’ is added to your room rate for use of the pool complex, so you might as well enjoy it! Note: indoor and outdoor pools have different hours, as well as the pool slides. Check hours of operation for the time of your visit before promising anything to kids! The tennis courts are located at Dawson Park Recreation Cabin, in one of the Suncadia vacation home neighborhoods inside the resort, and can be reserved (though we found them locked in mid-June). Also on-site are soccer goals to shoot on, basketball courts, ping-pong tables, and other recreation-based games, plus a nice playground. The bike rentals are located at the Village Pavilion, by the small pond across from the pool complex. Here, you can rent bikes and electric scooters (16 and up) and watercraft like stand-up paddle boards and pedal boats (though don’t bother with older kids…the pond is small and uninspired). We opted for mountain bikes, to try out the miles of dirt trails through the wooded areas surrounding Suncadia. Once we found these trails, we really enjoyed them, but for about 45 minutes, we had our noses in the map, trying to figure it out. No one on staff seemed to know how to direct us, which was somewhat frustrating. However, we finally found the trailhead for a network of single track and dirt roads perfect for mountain biking, and had a good time riding near the river. To save you time, head down Swiftwater Trail (road) to the end, where you’ll find the trailhead. You can ride along paved bike paths to this point from the lodge or the bike rental area. Suncadia’s address is in Cle Elum, but the little town of Roslyn, best known as the setting of the TV show Northern Exposure, is just as close…only 10 minutes away by car. The Roslyn Theater is a cute one-screen affair with cushy seats and a friend staff. We saw an evening movie there, paired with dinner at the Roslyn Cafe (absolutely try their tater tot casserole!). We found the dining options in Suncadia to be a bit limited to higher-end dining, so we took advantage of the full kitchen in our unit and cooked our meals in-house when we didn’t eat in Roslyn. If my husband had been with us for this trip, he would have loved the fact that Suncadia has a winery on-site: Swiftwater Cellars. We didn’t golf this time around, those the boys do enjoy a round of nine holes most of the time. We noticed that Suncadia seems to do a good job of offering affordable green fees to students and kids, plus twilight tee times. We were psyched to see they’re offering foot golf (soccer golf) on the first nine holes (you get to play it twice for 18 holes), but were bummed to learn this was not opening until July. In addition to the activities we tried, Suncadia offers plenty in the way of rafting and fishing on Cle Elum River, plus horseback riding and ATV-riding. In winter, snowshoeing, ice skating, and tubing reign. For younger kids, there’s CampCadia with programmed activities, and there’s a whole page of activities for the toddler set. There’s even a junior ranger program of sorts for kids starting in the end of June (all of the above include extra fees, though none are astronomical). We stayed in a one-bedroom Suncadia Lodge unit (in the main lodge). We liked being in the main building, and our unit included a full kitchen, full-sized washer and dryer, and large bathroom with jacuzzi tub. Our family of five was perfectly cozy here. We could have also opted for a two-bedroom unit, but for an extra $100 or so, we were happy enough with a rollaway. During our stay in June, our unit rented for about $250/night, which we felt was a good value. The lodge also offers standard hotel rooms. The Inn at Suncadia is smaller and higher-end, apparently, though we didn’t get a chance to peek in. There are also condos and vacation homes in the resort. All have resort privileges to the pool complex and recreation facilities. All-in-all, there’s a lot going on at Suncadia, but we did feel frustration that several things were not up and running by mid-June (while advertised that they were operational), such as foot golf and tennis. We asked a lot of questions during our stay, and found that many employees were uninformed. Everyone was friendly, but many lacked basic information such as when activities opened, where to sign up, etc. We had to figure most things out on our own, a daunting task when there’s so many activities on offer. 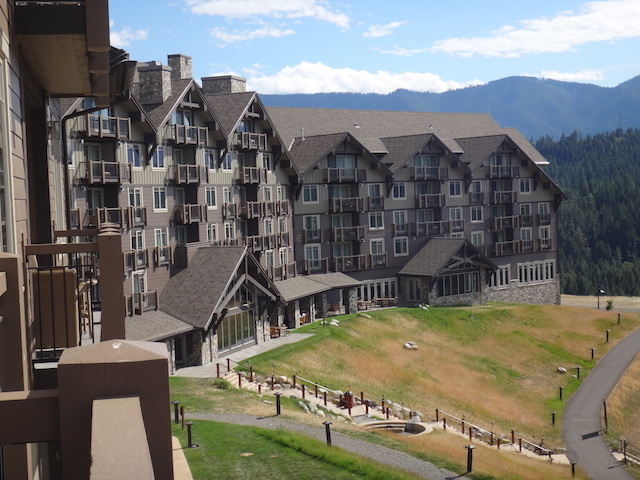 Disclosure: as we disclose whenever applicable, we experienced Suncadia hosted by the resort, for the purpose of review. All opinions are our own.